Dr. Rube and his staff are committed to providing the highest quality care for both children and adults. This ranges from simple preventive care such as sealants for children to advanced restorative or cosmetic treatment for adults. 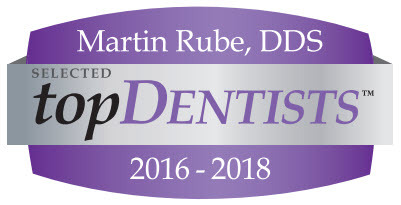 We feel it is important for you to know that Dr. Rube exclusively uses only tooth colored materials in his practice. In addition, Dr. Rube is certified in Invisalign, which can correct crowding and/or open spaces without the use of traditional braces. Advancements in technology allow Dr. Rube to utilize digital x-ray to immediately view images and to reduce the amount of radiation to the patient by approximately seventy five percent. Also the use of computer aided design allows for enhanced accuracy and aesthetics in restorations. Below are some of the many procedures and services we regularly provide to our patients in greater detail. If you have any questions, or would like to schedule an appointment, please contact us today. We look forward to providing you with the personal care you deserve.